It’s one my favorite moments in life when things just fall together perfectly. It’s true what they say; sometimes things are just meant to be. I was in desperate need of some updated portraits of my beautiful daughter. Yes, it’s true, even photographers struggle to keep up with documenting their own children! Yes folks, this stunning beauty (inside and out) is mine! I have plenty of images from day to day life in our family, but we hadn’t done a more formal, full length portrait session since she was eleven years old. And if you have children this age, you know how much a preteen changes between eleven and fifteen, so it was time to get these done! Of course, we didn’t want just any photo session. I had an amazing, neutral tulle skirt that was practically begging to be photographed, hanging in my studio. 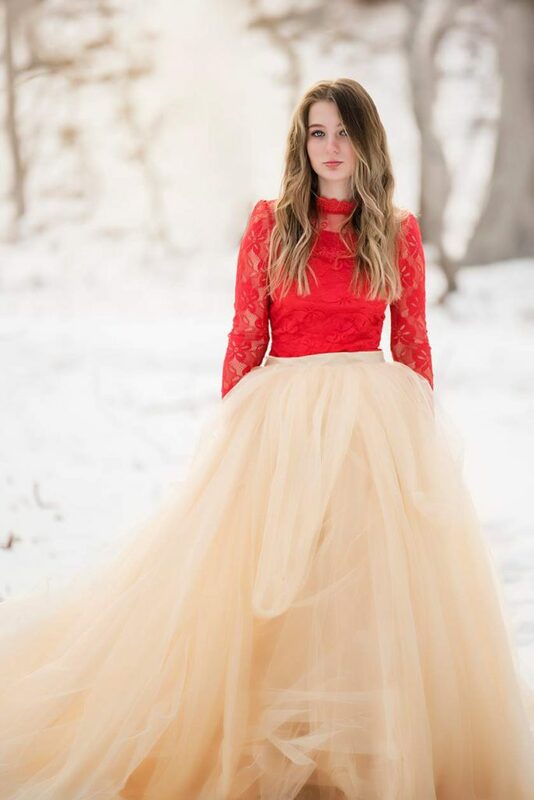 I pictured it in the snow with a red lace top, and I knew the contrast would be amazing against the white backdrop. 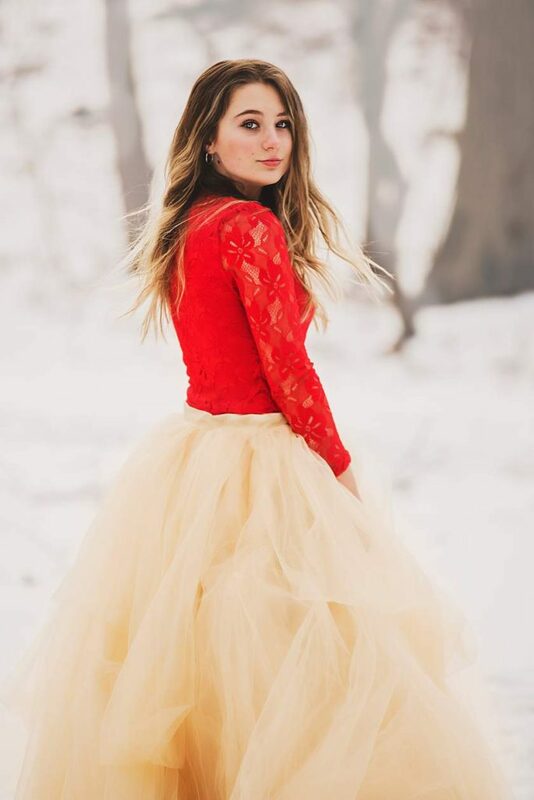 Lucky for me, Lana was game for this shoot, and when the snow finally arrived, we went for it. I love these so much. Of course, I’m her mom so I’m a little biased, but I truly love them. I can’t wait to hang these on the wall in our home.